Need for Speed Shift 2 Unleashed received several DLCs (Downloadable Content) after the game's release, which you can purchase through the in-game store. Here you can find a short overview of the released download contents for Shift 2 Unleashed. 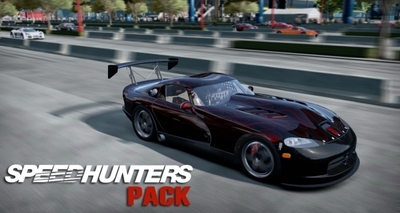 Previously the DLCs were only available for console gamers on Playstation 3 and Xbox 360 but as of 2011-06-30 PC-gamers can download the Legends- and Speedhunters Pack at ORIGIN! The Shift 2 Unleashed SpeedHunters Pack introduces two new career branches including Drag and Standing Mile, as well as 14 new cars and 6 new tracks. The SHIFT 2 UNLEASHED SpeedHunters pack, available on May 17th, contains two new branches including Drag and Standing mile. Each branch features nine new events, where players will only be able to use the manual gear change so that they can really feel what it’s like to be in the driver’s seat. This means the traction control features will be forced off and the HUD will display a new rev counter and gear indicator. The difference between the two modes is simple – Drag judges the fastest time over a quarter mile stretch, and Standing Mile judges the fastest speed achieved over a mile stretch. Both branches allows for new high-power customization options where players can create 1000 horsepower engines capable of reaching speeds of over 250 mph. The Shift 2 Unleashed SpeedHunters pack will be available on May 17th. The Shift 2 Unleashed Legends Pack brings you 13 new cars and 5 classic race tracks. Your new rival will be Matt Powers, the drifter for Team Need for Speed who took second place in the 2011 Formula Drift opener. 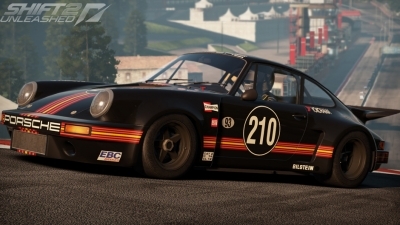 If you can beat him, you can get your hands on his 1974 Porsche 911 RSR. The Legends Pack was released on April 25th, 2011, but is delayed on Playstation 3 due to the Hack of the Sony Playstation Network. If you want to take a shortcut and get immediate access to all cars and tracks in Shift 2 Unleashed you might be interested in the following Timesaver Packs on Playstation3 and Xbox 360: Shift 2 Unleashed - Fast Five Pack (560 MSP / $6.99 / 6.99 €) Gives you instant access to five of the hottest and most expensive cars on the planet: the Bugatti Veyron 16.4, Pagani Huayra, GUMPERT apollo, McLaren F1 and the Porsche Carrera GT. Shift 2 Unleashed - Unlock all Cars Pack (800 MSP / $9.99 / 9.99 €) This pack allows you to fill your garage immediately leaving you only the boss and reward cars to unlock. Shift 2 Unleashed - Unlock all Cars and Tracks Pack (1200 MSP / $14.99 / 12.99 €) This pack makes every car, track and event in SHIFT 2 available for you to try immediately. The three packs were released short after the game's release at the beginning of April 2011. PC-Gamers: There is no official DLC for PC gamers, but you can find several tools and savegames in our Download-Section to unlock all cars and tracks for your PC-version of the game.